CHECHESMITHNATION : Stylish High-Heel Look-Alike Glass Shoe Built In Taiwan! 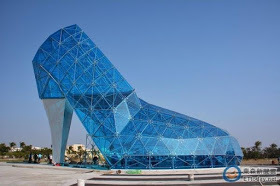 Stylish High-Heel Look-Alike Glass Shoe Built In Taiwan! 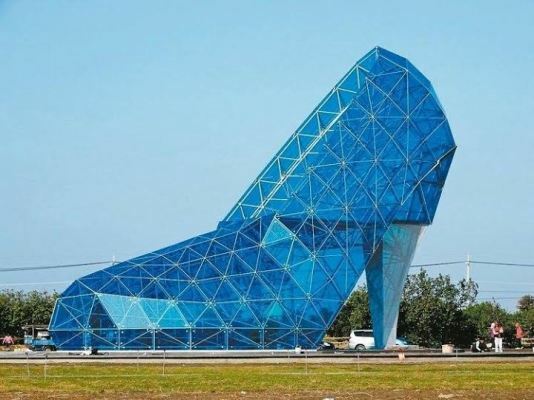 Take a look at this fabulously beautiful church building located in the southeast area in Taiwan.The church is built like a high-heel glass shoe, and it's about 17m high and made of over 300 hundred pieces of colorful glass. According to reports,the church is founded and built on some traditional law that expects a bride to wear high-heels to tread on tiles and gets to throw away the shattered pieces once she gets married; which signifies crossing over to much better life. The fashionable church is to be opened to the general public come February this year.